Based just outside of Afton, N.Y. Contact us for your landscaping, lawn care, or commercial snow removal needs. Our mowing crews operate in Afton, Bainbridge, Deposit, Sidney, Nineveh, Harpursville, and surrounding communities. We service commercial and residential customers for mowing, edging, fertilizing, seeding, core aerating, and grounds maintenance. Our landscape crews care for commercial and residential properties in Afton, Bainbridge, Binghamton, Harpursville, Port Crane, Sidney, Unadilla, and anywhere in between. We stock 3 colors of bulk mulch. Red, brown, and black color enhanced mulches are available. Landscape gardening, planting and removing shrubbery, new plant, bush, and tree installation, trimming hedges, trimming decorative trees, building or repairing walls, installing ornamental ponds, grading. Deliveries of: stone, mulch, topsoil, gravel, organic enhanced topsoil, lawn mix topsoil, decorative stone, and rock salt. Gravel and stone driveway repair. Storm damage clean up, spring clean up, fall clean up, leaf collection, downed tree removal, skid steer, compact excavator, track loader, dump truck services, dumpster rental, roll off service, and more. Our commercial snow plowing routes cover Harpursville, Afton, Bainbridge, and Sidney. Snow removal & haul away, salt spreading, sanding, ice melt, commercial snow plowing, clearing sidewalks, and plowing parking lots. Our commercial customers include banks and credit unions, apartment buildings and offices, retail and industrial sites, churches and government properties, and more. 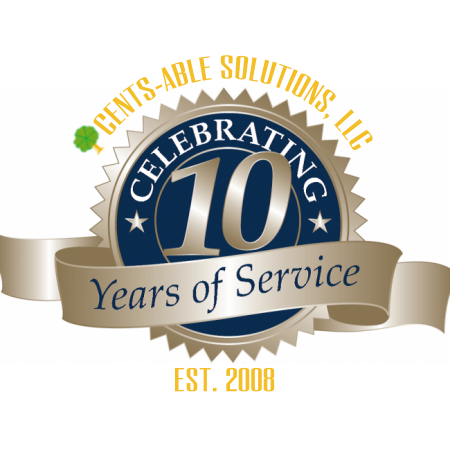 Cents-Able Solutions is a professional services provider. Are committed to service and quality. Maintain proper levels of insurance specific to Lawn care and Snow removal. Are licensed in New York state. Attend trade events and stay abreast of the changing industry. Invest in, operate, and maintain commercial equipment that is lettered and insured for commercial use. Routes in Broome, Chenango, and Delaware Counties. You may have seen us in Afton, Bainbridge, Harpursville, Nineveh, Sanford, Sidney, and surrounding areas.